About: The North Garden features beds of colorful tulips in the spring and chrysanthemums in the fall. Also known as the French Garden, this area features the Untermyer Fountain that is surrounded by elegant floral arches. 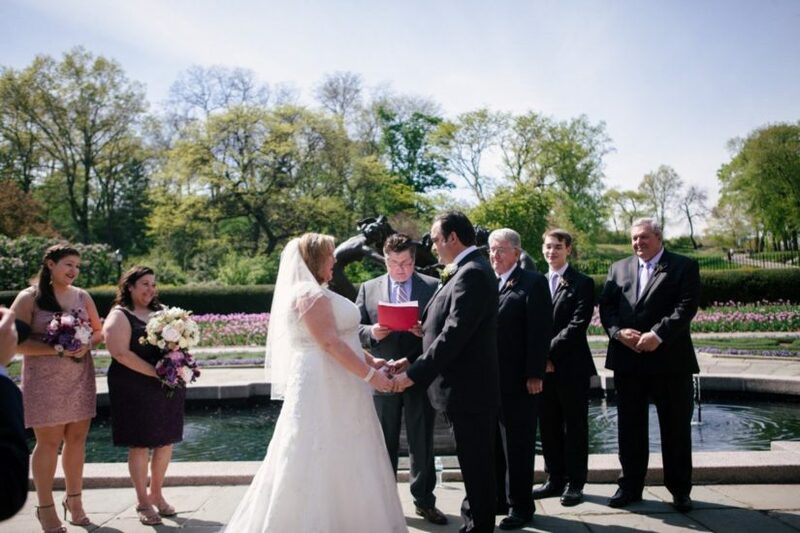 Hold your ceremony under one of the arches or in front of the fountain for a romantic ceremony backdrop. Restored in the late 1980’s, the Conservatory Garden’s six acres are made up of three distinct areas: the South Garden, Wisteria Pergola and the North Garden. 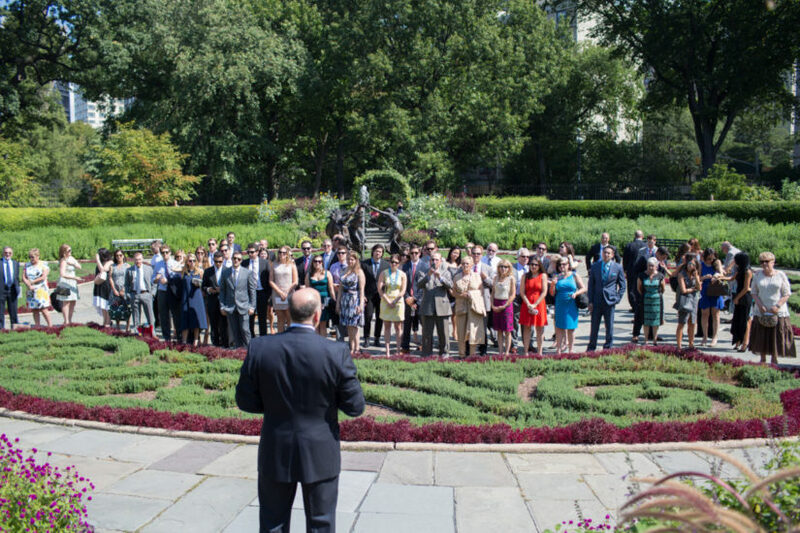 The Conservatory Garden is one of the most popular locations for a Central Park wedding. Holding your wedding in the Garden allows you to take photographs throughout. The best times for weddings at this location range from early spring to mid-October. 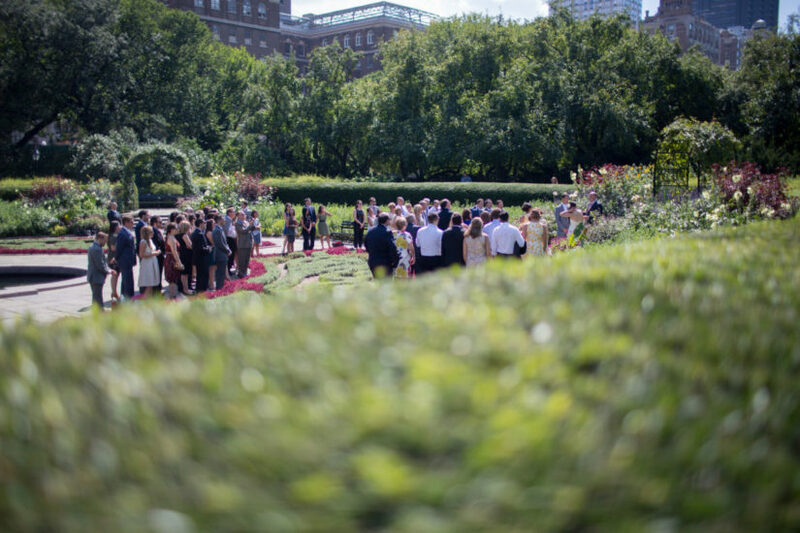 Please note that the Conservatory Garden requires a permit fee of $500.00, which is in addition to our package prices. 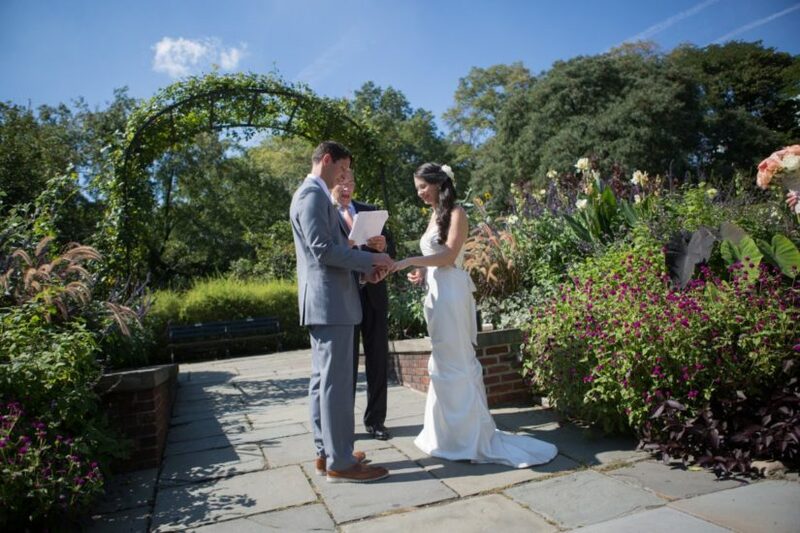 Click here to view Conservatory Garden real wedding photos.